A gauge of U.S. manufacturing rebounded in November as new orders picked up and companies added workers, indicating that factories remain relatively healthy in the fourth quarter. The Institute for Supply Management index, from a survey that aims to capture manufacturing business conditions, increased to 59.3 from 57.7, data showed Dec. 3. The rise from a six-month low also exceeded estimates in a Bloomberg survey calling for the gauge to edge down to 57.5. Readings above 50 indicate expansion. The factory gauge remains elevated, signaling that corporate tax cuts and consumer strength continue to drive demand and expansion. However, trade tensions with China still cloud the outlook even after signs of a thaw following President Donald Trump’s meeting with counterpart Xi Jinping at the Group of 20 summit in Argentina. New orders and employment recovered after slumping in October, while a gauge measuring prices factories paid for materials tumbled by the most in more than six years. That bigger-than-expected decline contrasts with warnings from some economists that the trade war with China may fuel inflation. Plunging prices for oil, a major indicator of manufacturing expenses, may be a contributor to the drop. 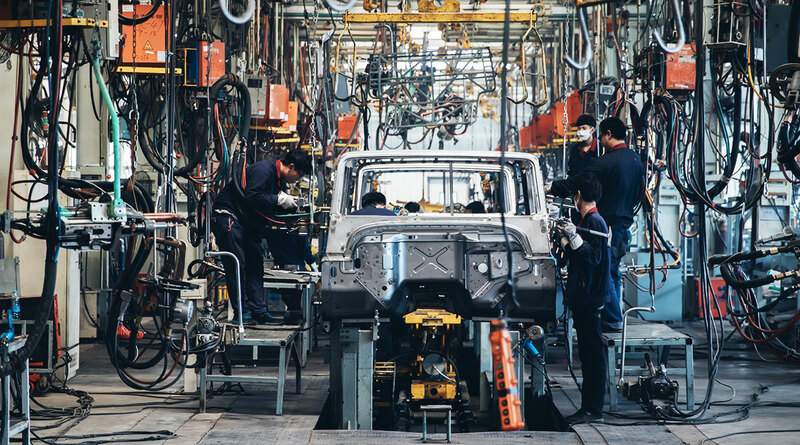 Even amid broader strength, trade still weighed on manufacturing: An index of exports held at the lowest level since late 2016 and a measure of imports fell to the lowest since June 2017. Back orders increased, indicating manufacturers still confront bottlenecks in getting goods to customers. At the same time, the index of supplier deliveries fell, though the measure still indicated that delivery times are slowing.